Kitchen and clothing items, although I’m trying to keep unnecessary spending to a minimum. The most recent buys were a new electric can-opener (exciting, I know), and a pair of colored denim pants to replace the three pair on their way out the door. However, in the very near future I’ll be purchasing plane tickets for Mexico and Europe, so I’ve got to buckle down and keep an eye on that budget! Water, water and more water. Occasionally some unsweet iced tea and, now that it’s finally gotten cold in Florida, some Earl Grey hot tea. In my quest to get healthy and lose weight I’ve only had about two glasses of wine and three cocktails in the last two months. I miss the wine. Thanks to the forced formality of jury duty and recent weight loss, last week I rediscovered several items of clothing that I haven’t worn in years. Hudson jeans, a Zulily skirt, an Old Navy silk camisole and some very cute Steve Madden gray wool boots. (The boots were less about jury duty and weight loss and more about cold weather.) However, to be entirely honest, at this moment I’m wearing scrub pants, cozy socks, an old t-shirt with holes in it and hooded wrap cardigan sweater. 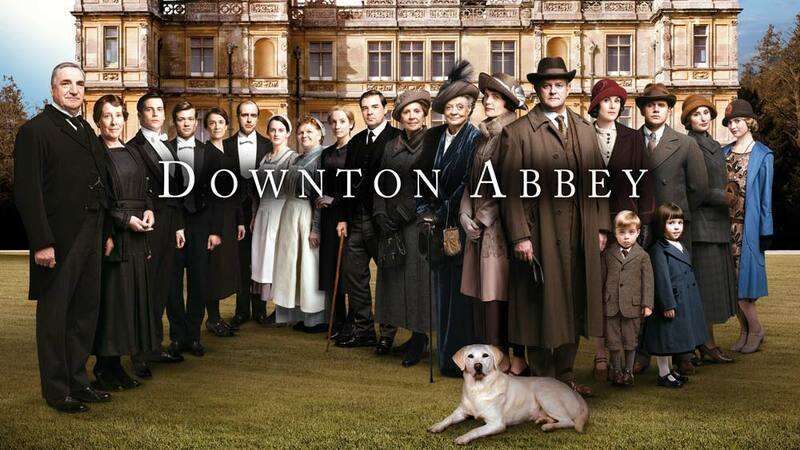 Downton Abbey (I’m a couple weeks behind, no spoilers, please! ), Mom, Black·ish, The Big Bang Theory and The Bachelor (did you catch the latest recap?). Also Cheers, on Netflix. I’m very much looking forward to the return of How to Get Away with Murder this Thursday. While I’m not convinced that the second season has been quite as good as the first, I’m still hooked. Also, I recorded a chunk of the Angie Tribeca marathon on my DVR but haven’t gotten to it, yet. Is anyone a fan? Narrow Margins by Marie Brown. Brown’s family lost everything when their company collapsed. They sold their home in England and began living on, and renovating, a narrow boat. It’s merely okay. Kindle suggested it following my second reading of From Here to Paris by Cris Hammond, which is a great book. The tagline of that one is “Get laid off. Buy a barge in France. Take it to Paris.” I’m also reading a lot of back posts on blogs. 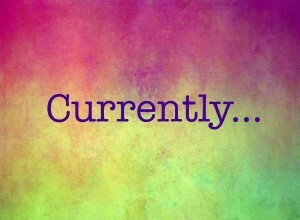 I’m completely behind on nearly every blog that I follow and catching up is taking much longer than I’d anticipated. How to stain louvered doors. And I’m learning by doing, one panel at a time. Many moons ago, we purchased and installed unfinished pine folding doors for closets in our office and guest bedroom. We always intended to stain them, but hadn’t gotten around to it. A couple weeks ago, when Tall Guy was working all weekend, I decided I’d start the staining process. I’ve stained things before (a dining room table, crown molding) and wasn’t worried. The louvers are trickier than expected. Getting the stain onto the louvers isn’t so much the problem… it’s getting the excess stain off of them that causes headaches. Also, despite my previous staining experience, I’d forgotten about needing to finish with a polyurethane coat. And that the polyurethane requires post-application sanding. Right now I have one panel that is stained and polyurethaned and not great workmanship. A second panel (a significant improvement over the first) is stained and waiting for its polyurethane coat. Only six more to go! Once I’ve gotten the practice perfected, I’ll share a complete how-to. Help creating a Media Kit for my blog. I’ve seen (and bookmarked) some tutorials, but I’m putting out the call for any tips you may have. HELP ME!!! To get back into making things with my hands. I want to sew things, like a winter coat, and a romper that I’ve conjured up in my head. Yesterday I drove past a fabric store in my ‘hood that I’d never noticed before. It was closed, so I can’t say whether it’s a great find, but I’m dying to check it out. Although perhaps I should wrap up the closet door project before I start something else. Thanks to the coordination of Lindsay over at Bourbon, Lipstick and Stilettos, I’m included in a group of wonderful ladies who are bringing you an opportunity to win some PayPal cash! Like, follow and cross your fingers! I need help with a media kit too! let me know if you find any good tips. You’re so strong holding back on the wine! I will absolutely let you know if I find some good stuff on media kits! I’m holding strong on the wine right now, but I’m worried that once I’m “allowed” to have it again I might go a little crazy! So many things to say: one, I am loving the cat eye she’s rocking on her album cover. Two: good for you for holding off on the wine! It is my weakness. Three: Cheers is our go-to Netflix program. I love it and have the biggest crush on Ted Danson. Four: media kits. I cannot buckle down to do them! If you find a good tutorial, please send it my way! Thanks for sharing the giveaway! 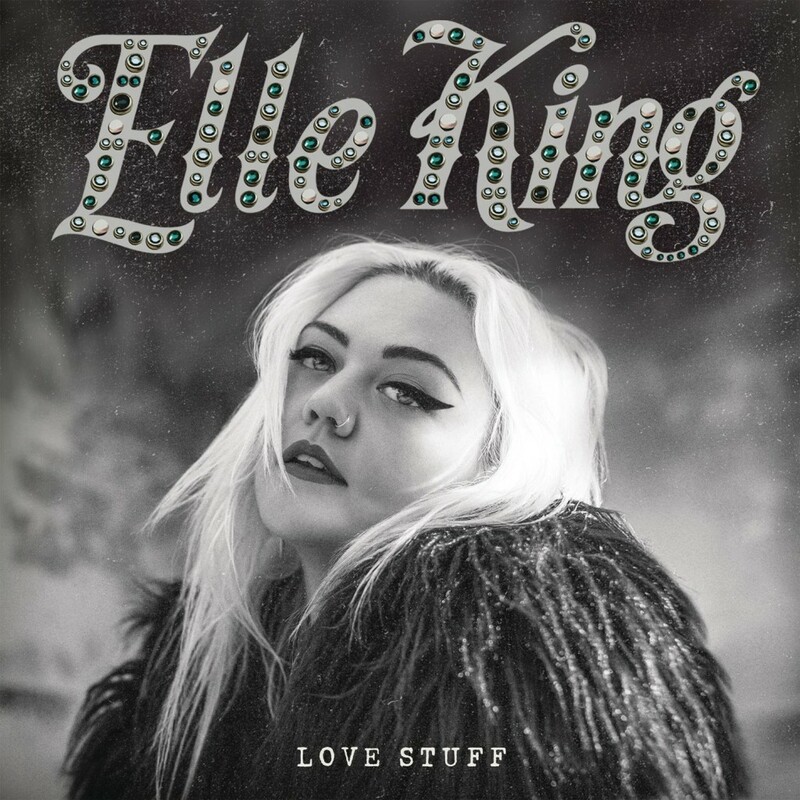 One: Elle King is not kidding with her eye makeup. Two: Thank you! It has NOT been easy, but it helps knowing that I’m only giving it up temporarily. I think the trick will be finding a moderation once it’s back on the “approved” list. I foresee going a wee bit overboard. Three: Cheers is so great. SO great. But Diane’s character drives me up a wall. I just can’t find anything likable about her. Four: I’ll let you know any treasures I uncover! And thank YOU for organizing the giveaway! Made it! Woohoo! 14 hours left! Great giveaway. 🙂 Hope you have many more in the future. Hope you and everyone here have a wonderful day ahead! Peace and love. Glad you made it in! Thanks for stopping by! !